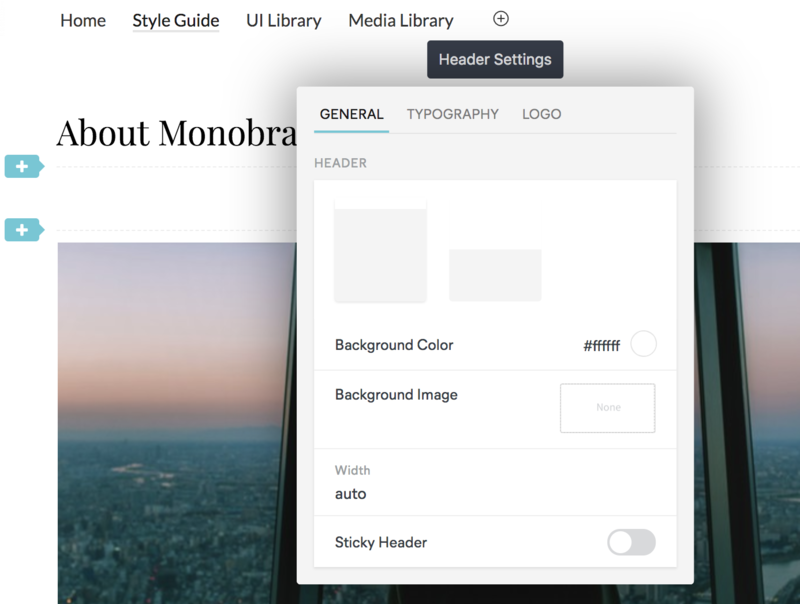 It's so easy to navigate to the tools you need within the Style Guide. Over the PowerBar, you can see your notifications, do all the relevant settings, send invites and share the Style Guide and much more. The PowerBar on the Style Guide. 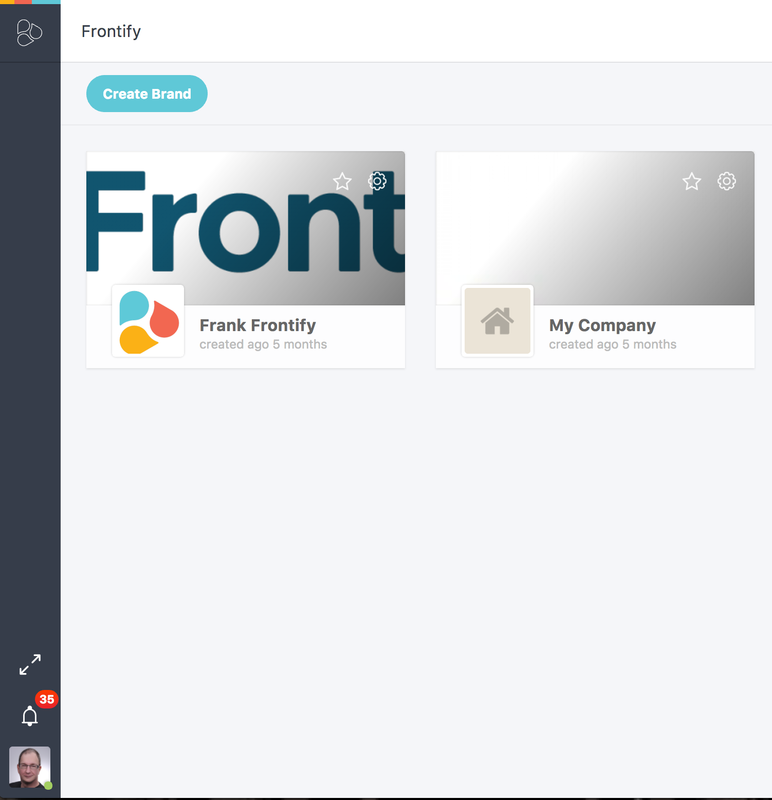 If you press the Frontify Logo on the Powerbar, you will come back to the dashboard. From here you can reach other brands or projects. 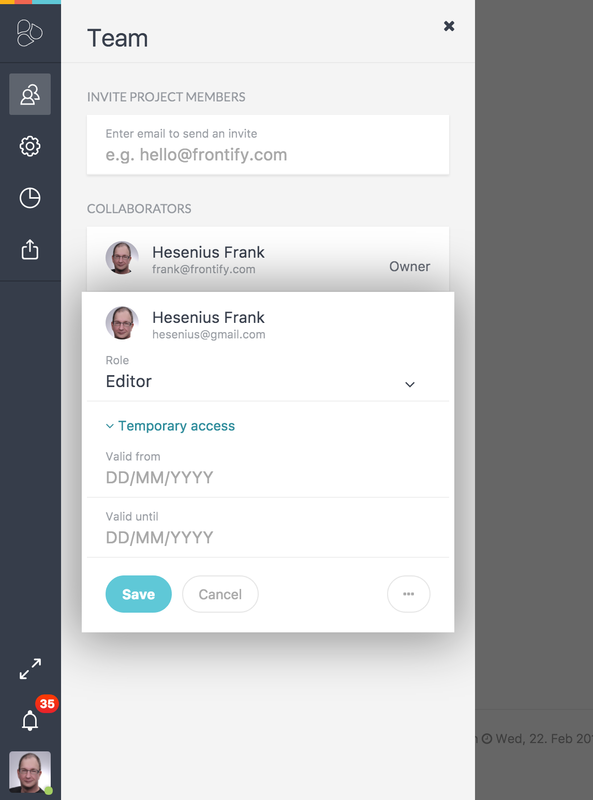 From here you can invite your team members, your stakeholders, clients or any other person via email. You are able to set the permission for each person. From now on you are able to grand persons temporary access from a date to a certain date. From the settings, you have the power to give your brand that certain something. Header: You can set here the size of the header. Give them a background color, or set an image as background. Each document can have his specific header background. You need a logo in your header. This can be set here also. You wish you could set a hero font and a color. Amazing, this is exactly what you find here. 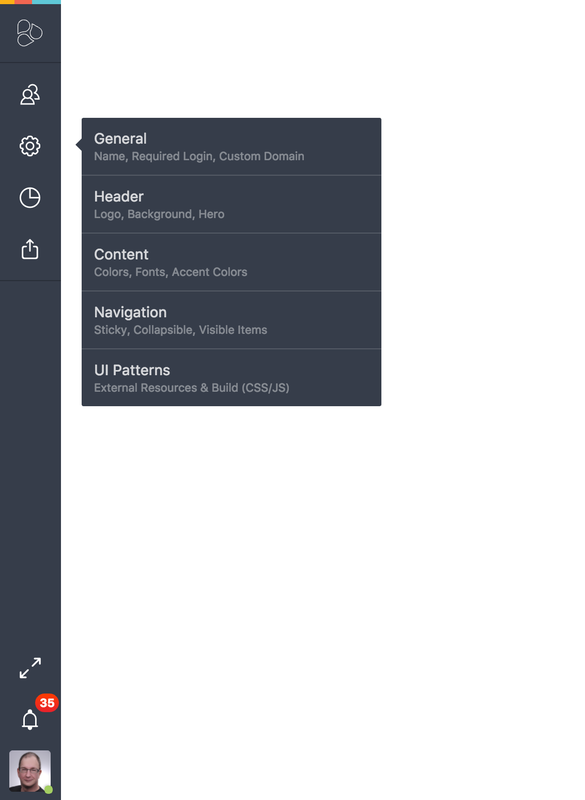 Content: At the content settings, you can set all the things up, like body font, color, link color, heading font, and color. 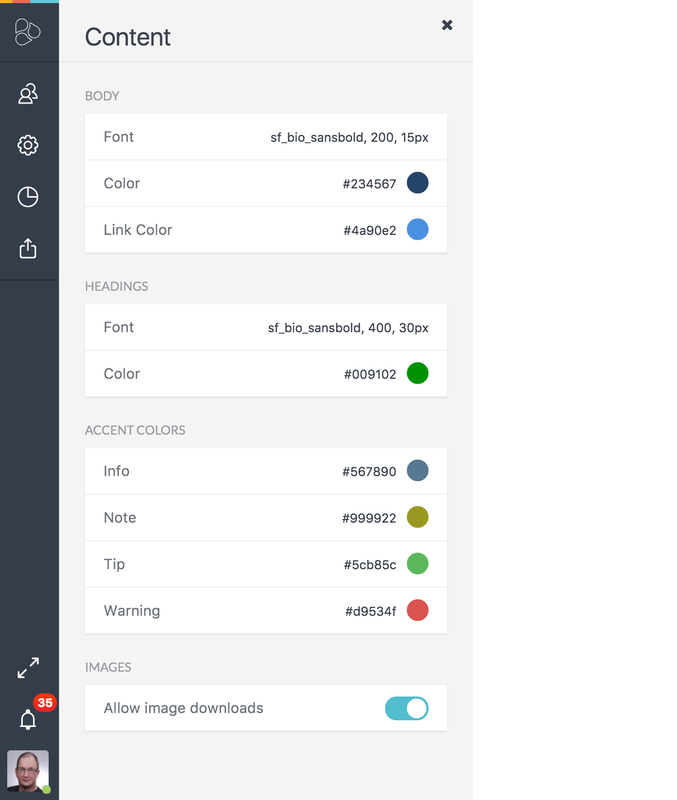 And accent colors for Infos, Notes, Tip, Warnings. 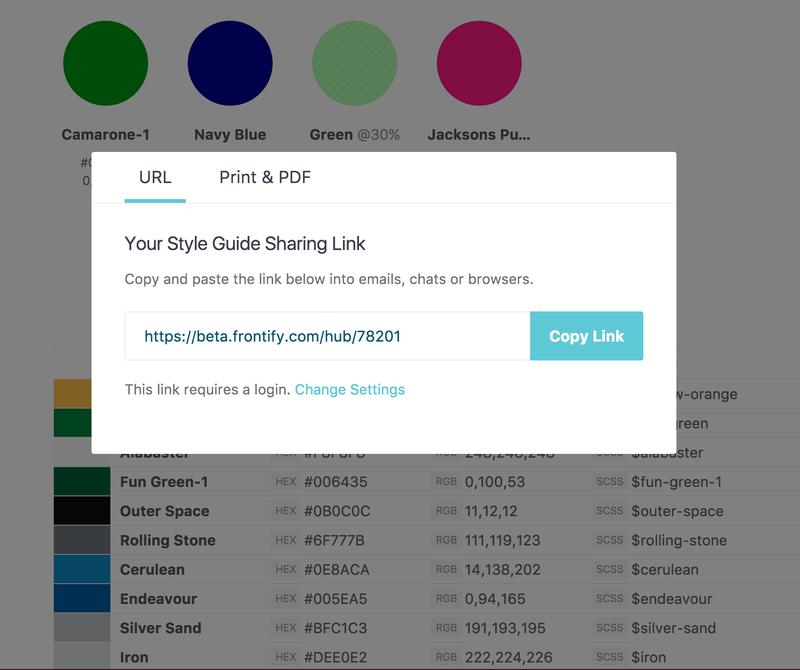 Should nobody download anything from out your Style Guide? No Problem. Deactivate the image download. But remember: Image download can be activated also at the image itself. 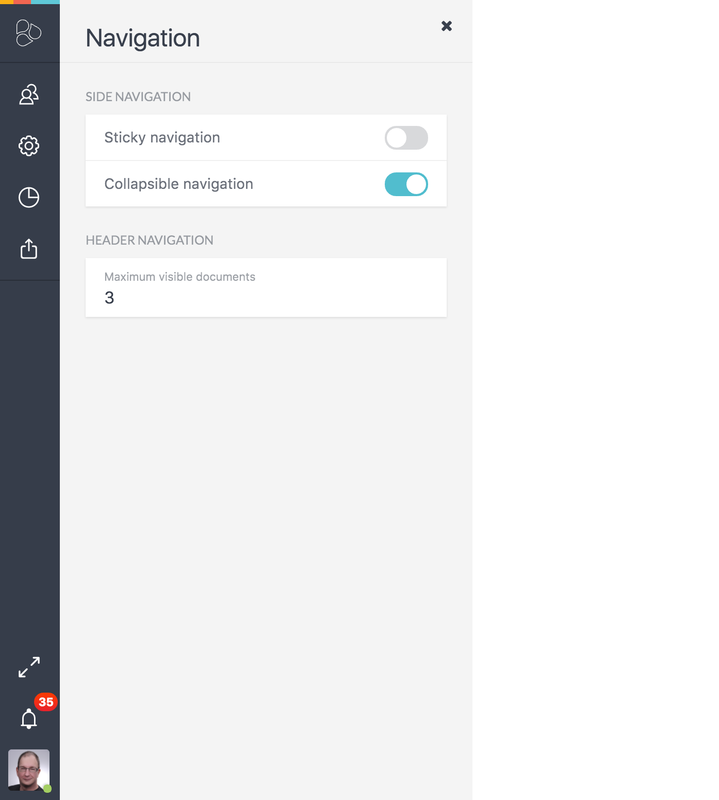 Navigation: You want that your navigation is collapsible or better sticky? That`s what you can setup here. Why not. Paste the link in here. 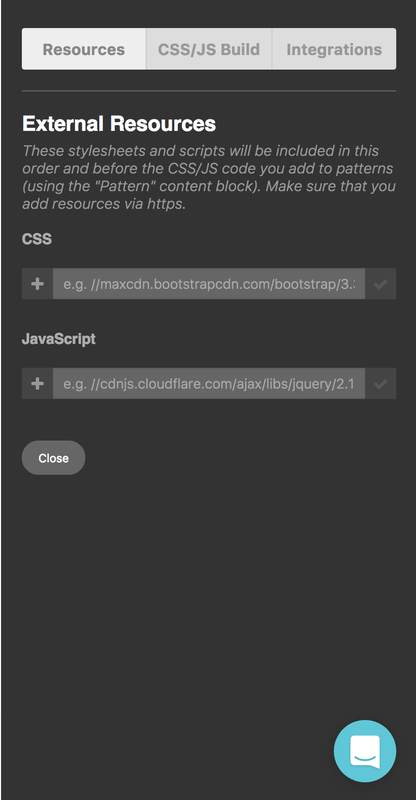 Set the CSS Pre-Compiler if needed. You can see under your analytics the statistics of a page or a document. For example, Page A is having 125 views from 100 visitors at day X. The same is possible for documents. Per day/week or month could set as an output value. If you pressing the Share icon from the PowerBar, then you'll see the link which can be sent out to people. 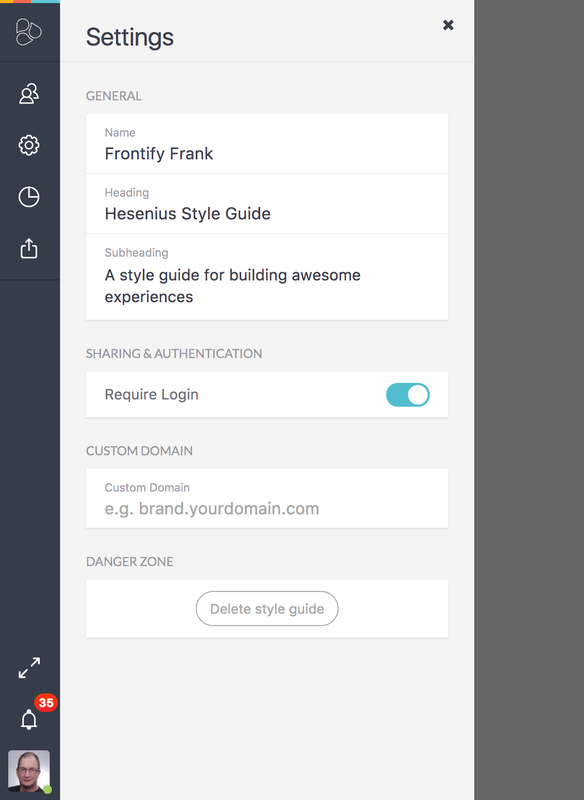 From here you will be redirected to the settings dialog if you wanna set that the link requires a login. 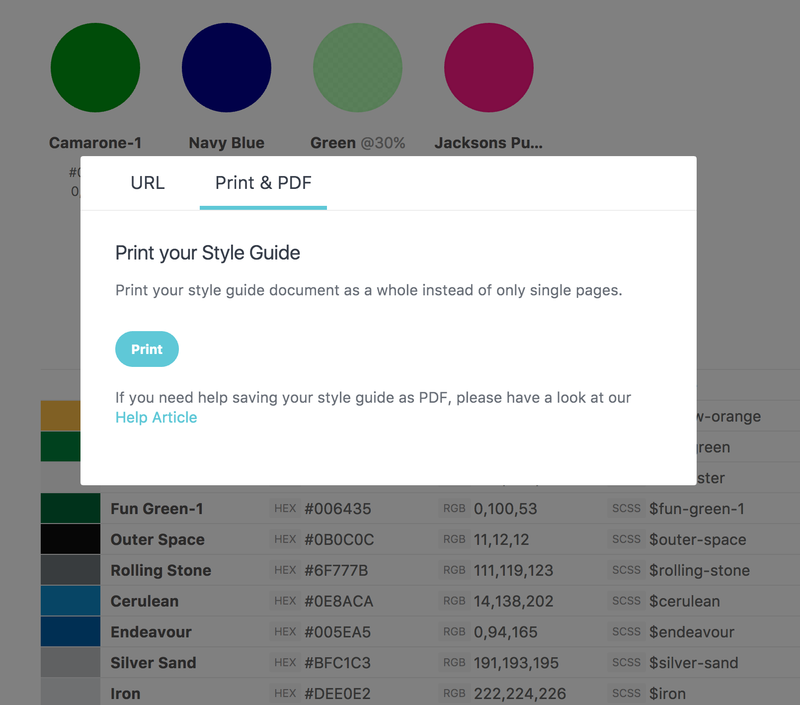 On the Print & PDF, you can export your Style Guide to a PDF. Easy. Only press the Print button.